Roasted vegetables, full of flavor, combined with light and nutritious quinoa makes this a perfect healthy hot lunch or side dish for dinner. I can't tell you how happy this dish makes me. I smiled while I was making it. I definitely smiled while I was eating it. I smiled the next morning when I thought about eating it again for lunch. I smiled when I went through these pictures to write this post. 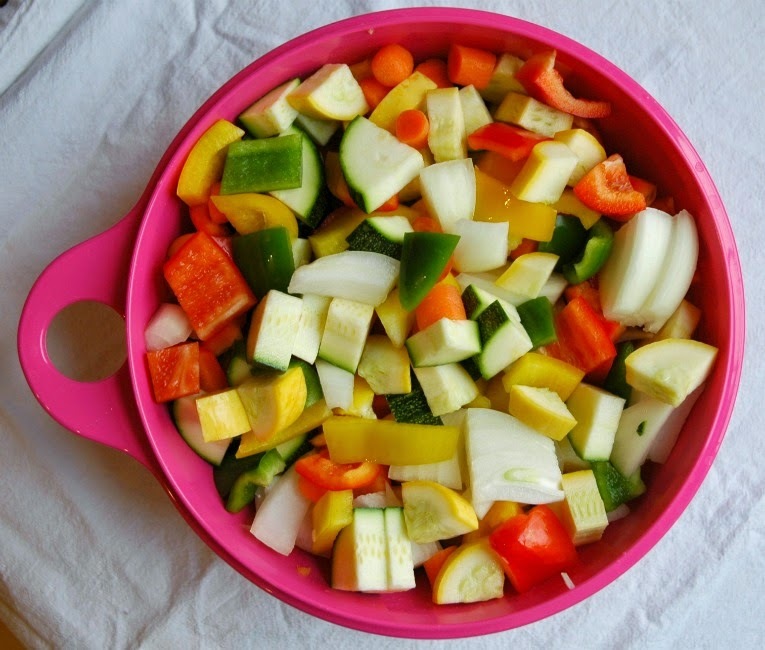 There's something about a GIANT pan of vegetables, waiting to be roasted that is very all-is-right-with-the-world. I'm also pretty sure that this dish is gluten free (although I really am no expert, but all of these ingredients seem safe to me). Preheat oven to 425. Prepare 2 baking sheets with parchment (preferred) or non-stick spray. Chop your veggies into bite sized pieces. Throw them all into a large bowl. Prepare your roasting juice. 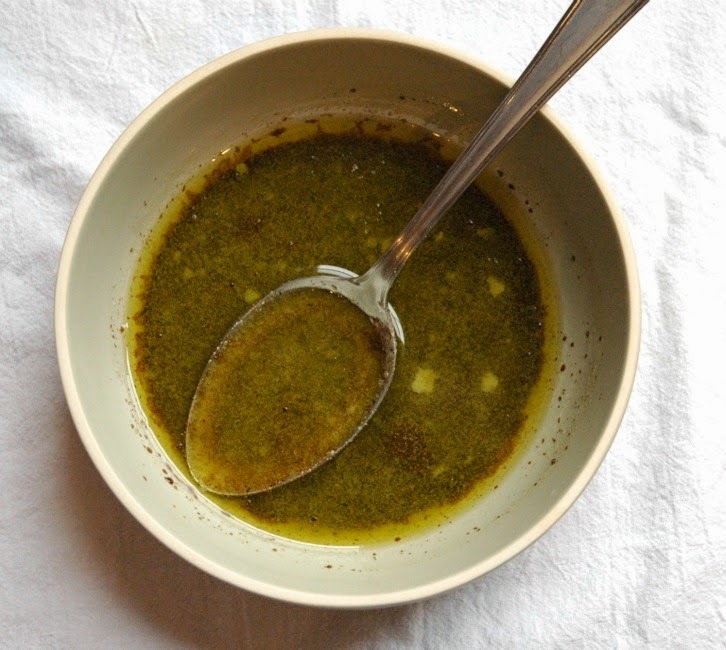 In a small bowl, mix vinegar, olive oil, salt, pepper, garlic powder and sugar. 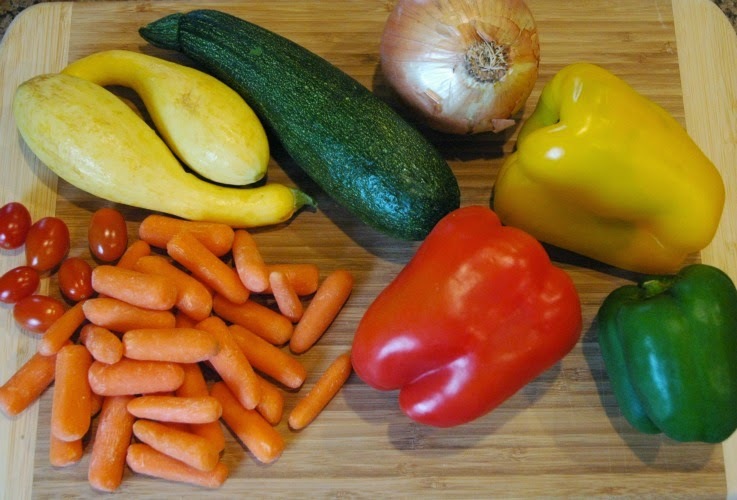 Pour over your veggies and toss to coat. 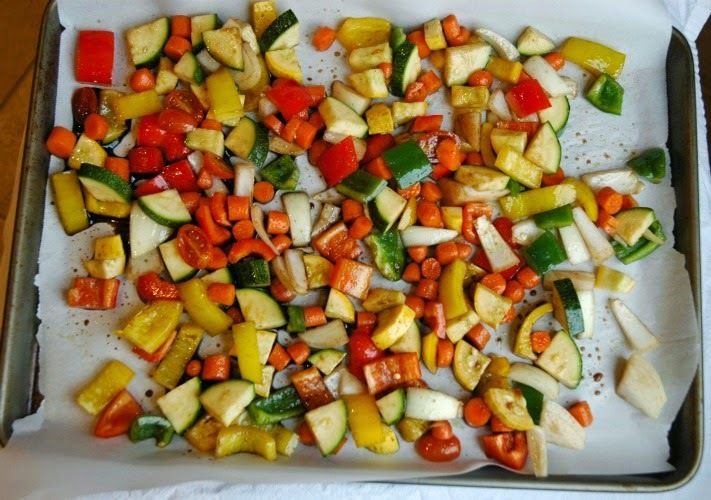 Transfer veggies onto baking sheets. Parchment is preferred here because the balsamic vinegar and the sugar will cook down into a burned, wretched mess on your baking pans as the veggies cook, but it stays perfectly fine on parchment. The mixture may seem rather liquidy, but much of that liquid will later help to moisten the quinoa. 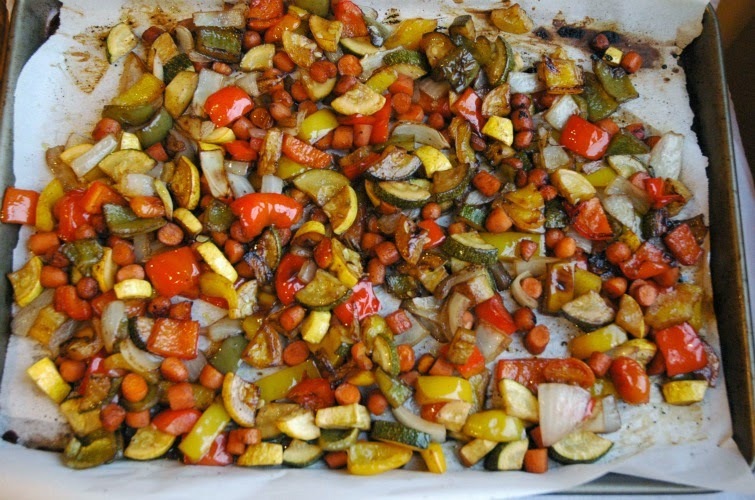 Roast your vegetables until they are tender, about 20-30 minutes depending on your baking sheets. Stir every 5-10 minutes. Meanwhile, prepare your quinoa. Combine the water, Italian dressing (make sure you're using gluten free, if you're going for that), and Italian seasoning in a medium saucepan. Bring to a boil. Add rinsed quinoa, cover, and reduce to a simmer. Allow to cook until liquid has been absorbed, about 15 minutes, stirring occasionally. 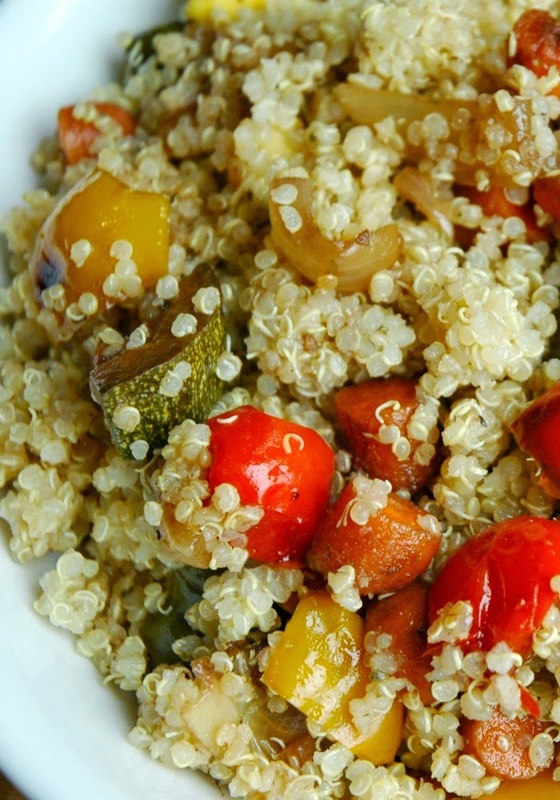 Remove from heat and let quinoa sit for a couple of minutes before 'fluffing' it with a fork. 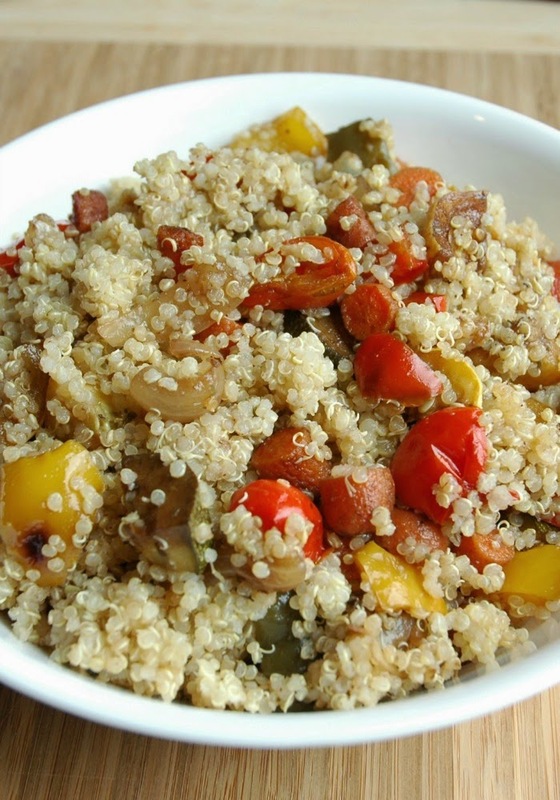 In a large bowl, combine vegetables and quinoa. Serve while warm. This dish reheats beautifully in the microwave, and can be kept for up to a week in the fridge. 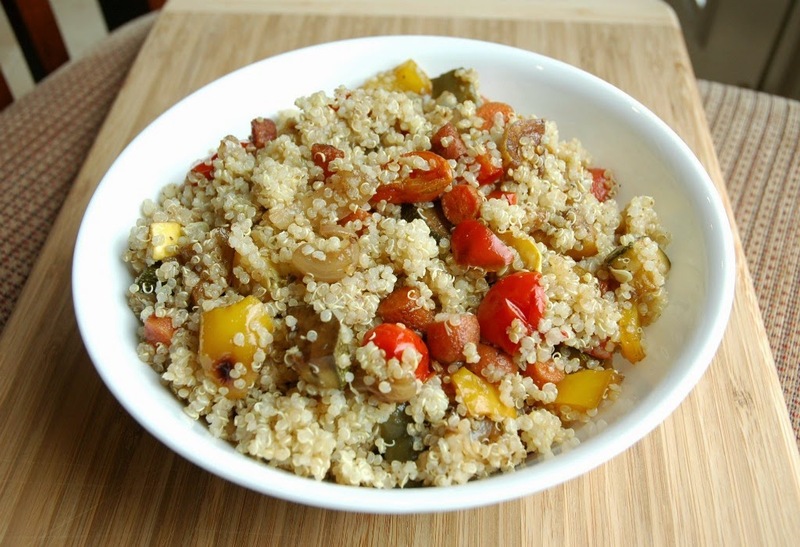 Roasted Vegetable Quinoa. Healthy, vegetarian, gluten free lunch, dinner, or side dish recipe. Full of flavor!